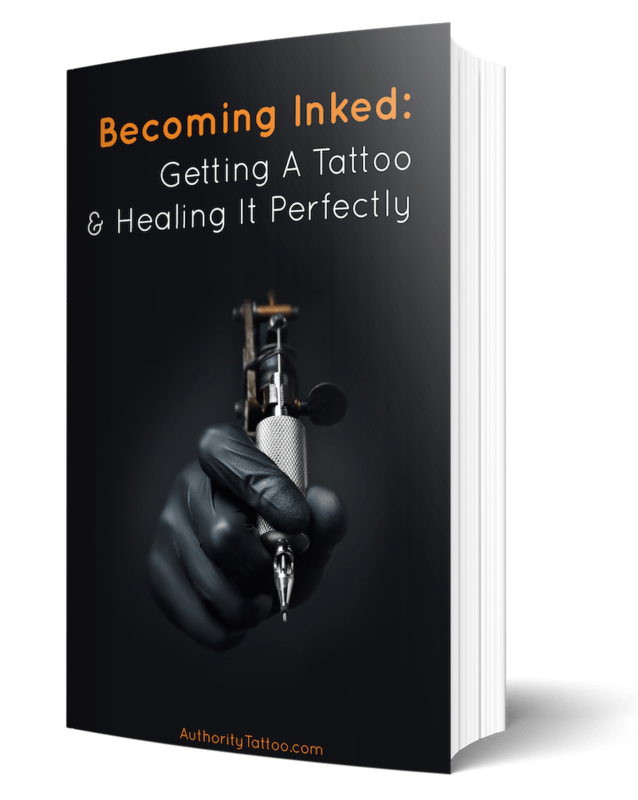 After getting a tattoo, the area around the new ink goes through many changes and processes as it begins to try and heal itself after the trauma caused by the tattooing needles. 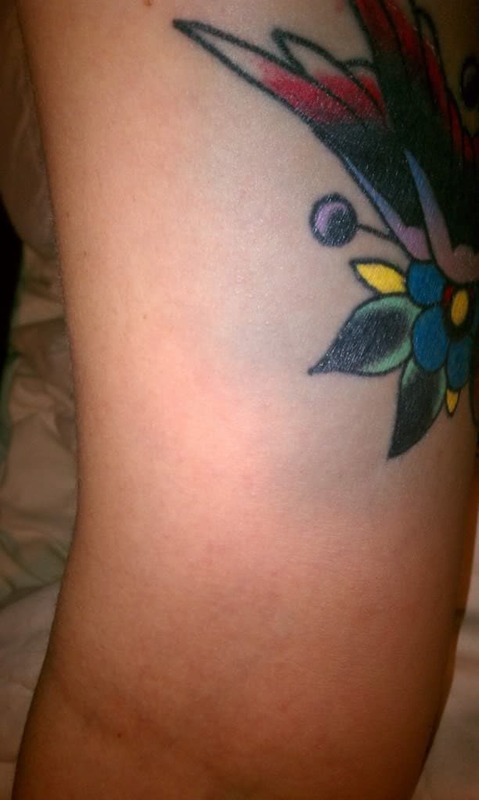 Tattoo bruising is one of the many processes that can occur during these bodily changes. A bruised tattoo can cause worry amongst people who weren't expecting it to happen to their new tattoo, but this article sets out to alleviate some of those concerns. 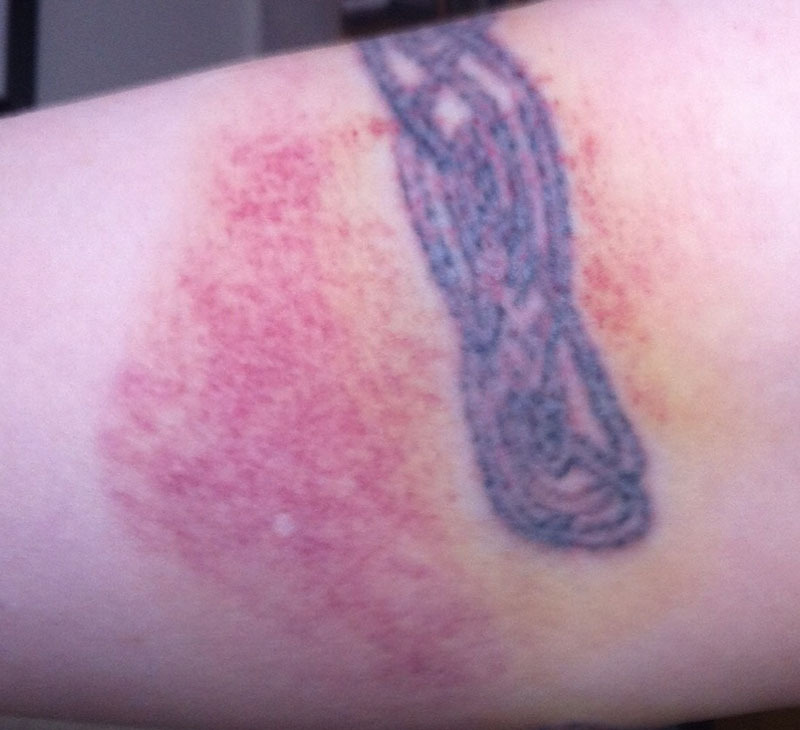 Is Tattoo Bruising Normal & Why Do Tattoos Bruise? Tattoo bruising isn’t something you should always expect to see, but is isn’t rare either - and it’s definitely something that you shouldn’t worry about in most cases. 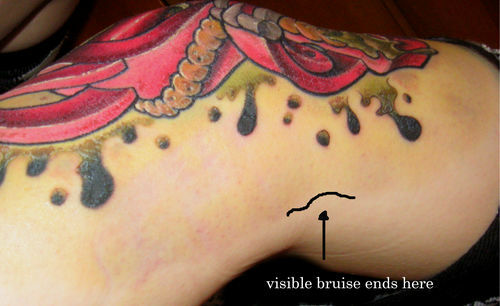 The majority of the time, tattoo bruising will be completely harmless to both yourself and the final appearance of your tattoo. As mentioned in the into - bruising around your tattoo generally occurs because of the trauma to your skin caused by the tattooing needles being pumped in and out of the area thousands of times a minute. Each time the needles jab underneath your skin they are bursting tiny little veins just below the surface, and this is what causes the bleeding during the tattooing process. 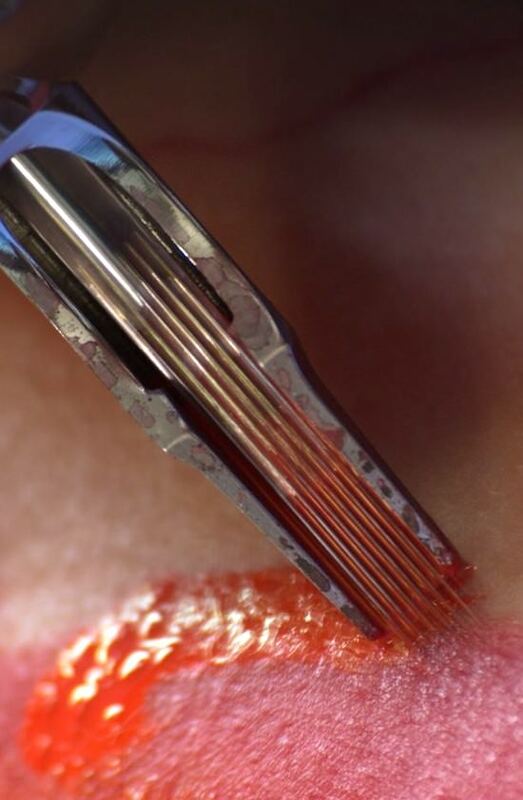 Although the bleeding completely stops leaking out of the surface of your skin relatively quickly once the tattoo has been completed due to the blood drying up and scabbing, blood will actually continue to leak below the surface for a little while longer, and this blood will begin to pool within little pockets between tissue beneath the skin if greater volumes of blood continue to leak out. It is when this pooled blood begins to disperse outwards and begins to be absorbed back into the body after a few days that you will start to notice this blood in the form of a bruise. Normal looking bruises can range in color from bright yellow, to dark blue, brown, and even black - and as mentioned, most of the time, bruising on a new tattoo is absolutely nothing to worry about. Certain areas of the body are more prone to bruising - especially lower extremities. Areas such and the feet and ankles will always likely bruise and swell up more due to gravity forcing blood to pool as close to the ground as possible, meaning that the blood has less of a chance to disperse upwards. Areas with much thinner skin also seem to bruise more, this is likely because the area is much more delicate with much less cushioning when compared to places on the body with thick chunks of flesh. For example, the inner bicep area comes out in bruising for many people who have tattoos here. Swollen tattoos are not uncommon in areas like this either. Some artists are very slow and gentle with the needle and can get away with causing very little bruising - if any at all. However, some artists are generally much more heavy handed, and it is these artists than can sometimes press down a little too hard on your skin and make it more likely that a bruise will appear in the coming days after the tattoo has been completed. Taking any sort of blood thinning medication before getting your tattoo can cause much heavier bleeding throughout the tattooing process. Not only this, but you are also much more likely to leak greater amounts of blood beneath your skin too, which will therefore probably lead to heavier bruising. Taking aspirin can also increase your chances of bruising heavier. 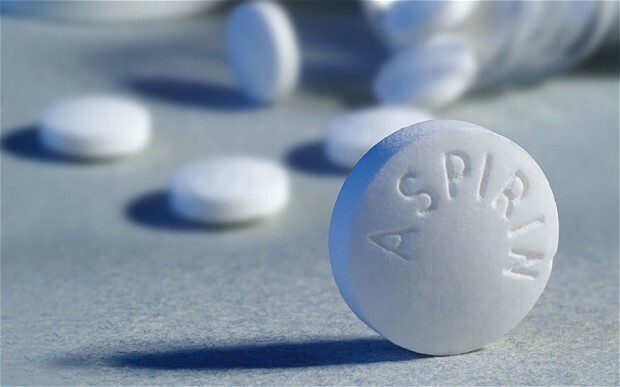 This is because aspirin prevents your blood from clotting as efficiently as normal, meaning that it will take much longer the bleeding to stop beneath your skin. Always consult both your doctor and your tattoo artist when thinking about getting a tattoo while taking any sort of medication. 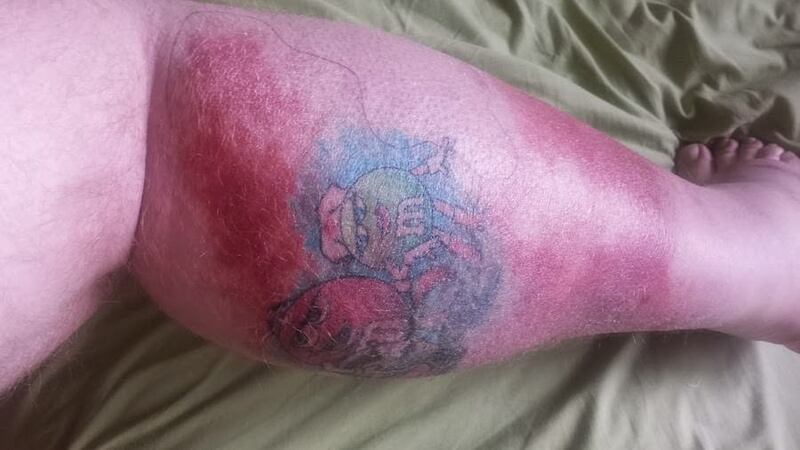 Although rare, tattoo bruising can sometime be a symptom of an infection. If this is the case, the bruising will usually be accompanied by extreme redness, rashes, skin that is hot to the touch and possible fever. Always see a doctor or your tattoo artist as soon as you suspect that your tattoo may be infected - the sooner the infection is treated and cleared, the less of a chance that the appearance of your tattoo will be permanently affected. It’s true, some people just seem to bruise much easier than others, and you probably know whether you are one of these people or not. If you are, then all the more reason to not worry so much if your new tattoo bruises! Just be aware that what you think might be a bruise, might actually turn out to just be something completely different. Many conditions on/below the skin can look very similar to one-another. For example, there is something that can happen to a tattoo called a 'blowout', which can happen to your tattoo if something goes wrong in the tattooing procedure - and this can look very similar to a bruise. 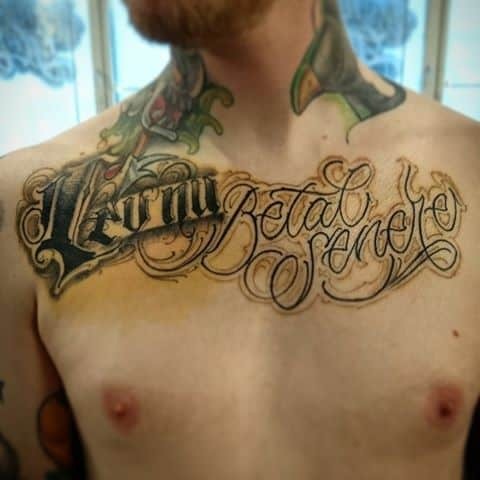 Although tattoo blowout is generally rare if your artist is relatively experienced, the effects are much more damaging towards the long-term appearance of your tattoo. A good way to distinguish between the two conditions is that a bruise should slowly disappear throughout the space of a week, whilst the appearance of a tattoo blowout generally remains the same for months and years. If you're concerned or confused as to what the problem may actually be, go and see your artist. But remember - if it looks like a bruise, then it most-probably is one. Compressing the area with ice will restrict blood flow and prevent as much blood from leaking around the site of bruising. However, remember that your tattooed area of skin will be very sensitive and delicate, so only compress the area very gently and ensure that you do not press the ice directly onto your skin - use a damp towel between the ice and the area that you wish to reduce the bruising on. If the bruising is on the lower half of your body like on one of your legs, try to raise your leg so that the tattoo is above your heart when you sit or lay down. You can achieve this by placing pillows and towels underneath the leg to prop it up, and you can also do this at night as your sleep. This elevation should help blood to flow back down (or up?) into surrounding areas of the body instead of pooling around the site of the wound. Being extremely active right after getting a new tattoo can mean that your body could have a harder chance at h﻿﻿ealin﻿﻿﻿g itself. This is because it's not able to relax and focus purely on regenerating the damaged area around your ink. Conducting intense exercise straight afterwards can also increase bruising too as your heart is having to pump harder. This means that more blood is being pushed through the tiny holes in the veins that were created by the tattooing needles, preventing effective blood clotting. Try to take it easy for several days after getting your tattoo to give your body the best chance possible at healing the traumatized area quickly and efficiently. Hopefully you can stop worrying now and accept that bruising on a new tattoo is generally very normal and common. Although there is nothing wrong with letting the bruising go away on its own, you can always follow the treatment steps above to try and make your tattoo bruising disappear a bit quicker - and you can then go on to look forward to seeing your new tattoo in all its glory once the healing process is complete.